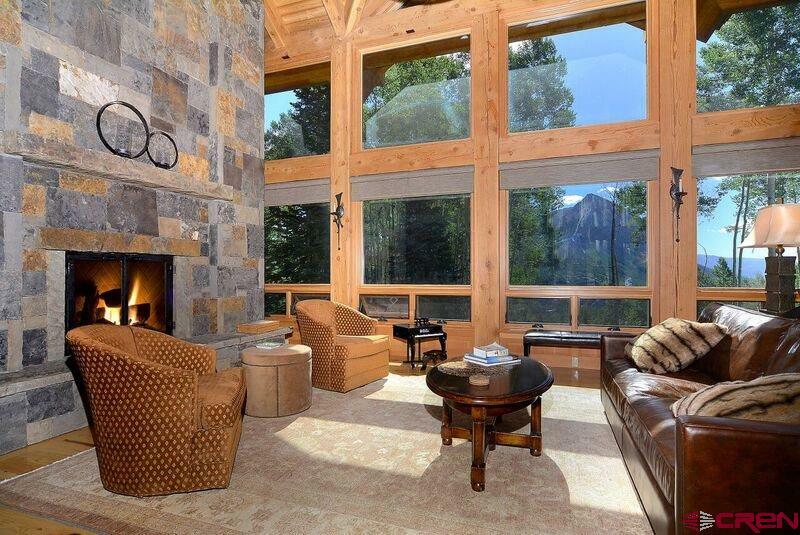 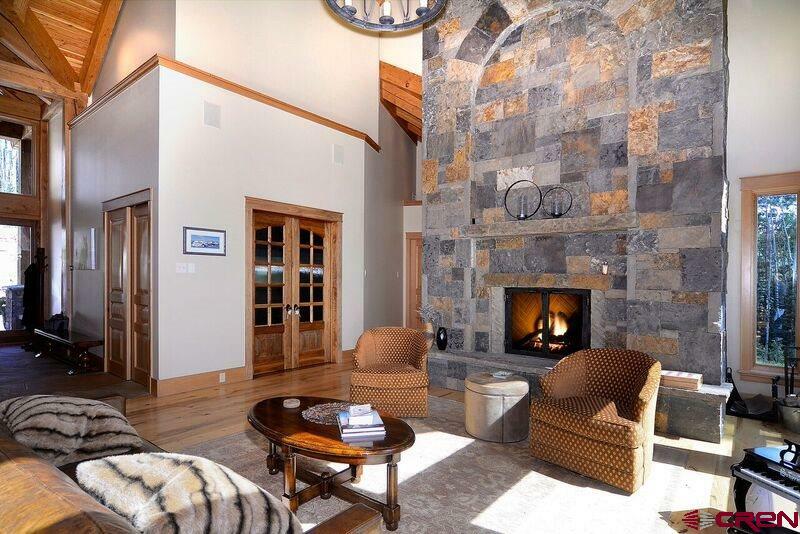 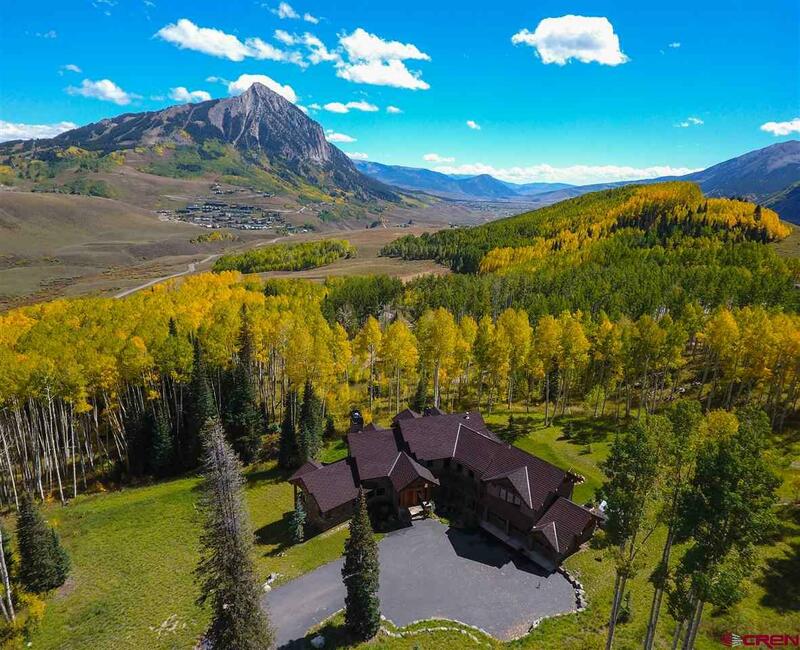 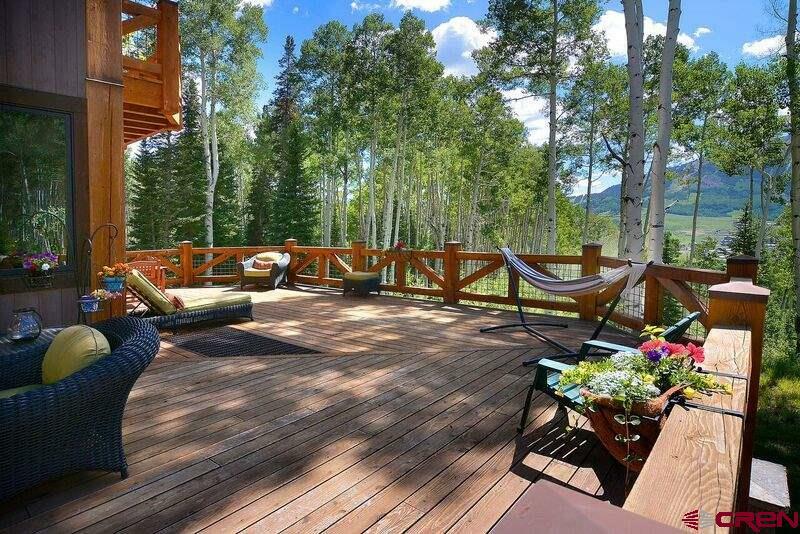 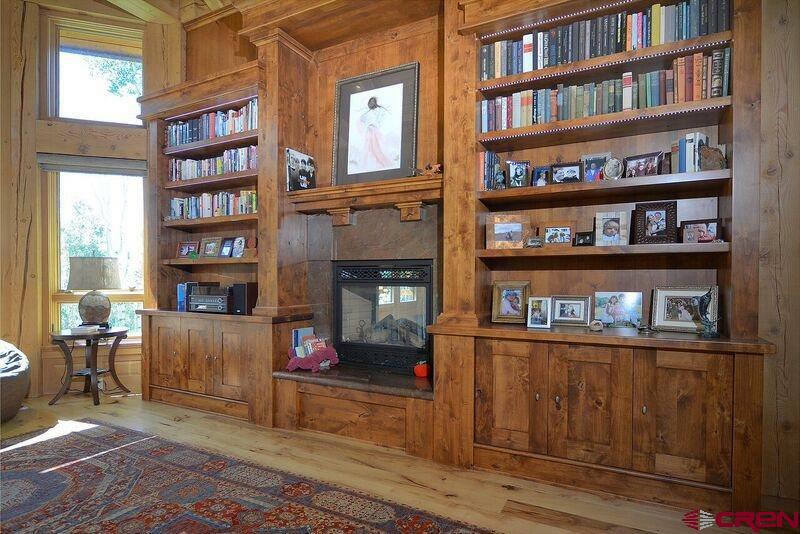 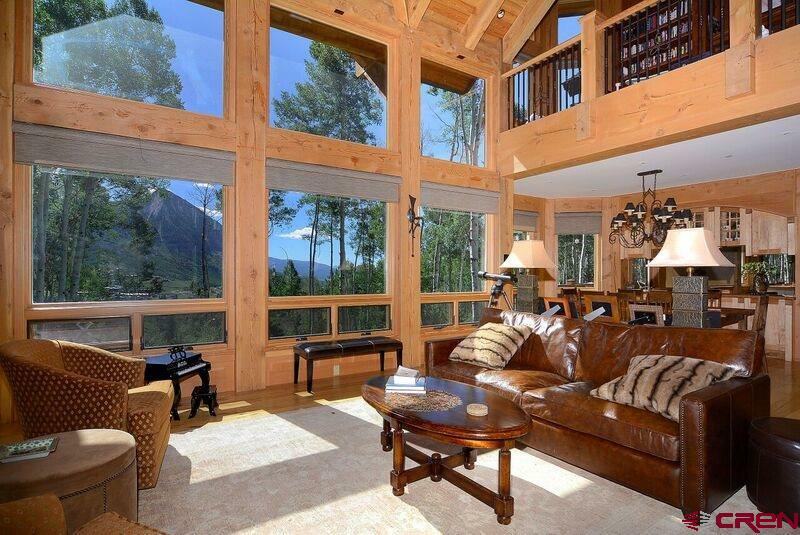 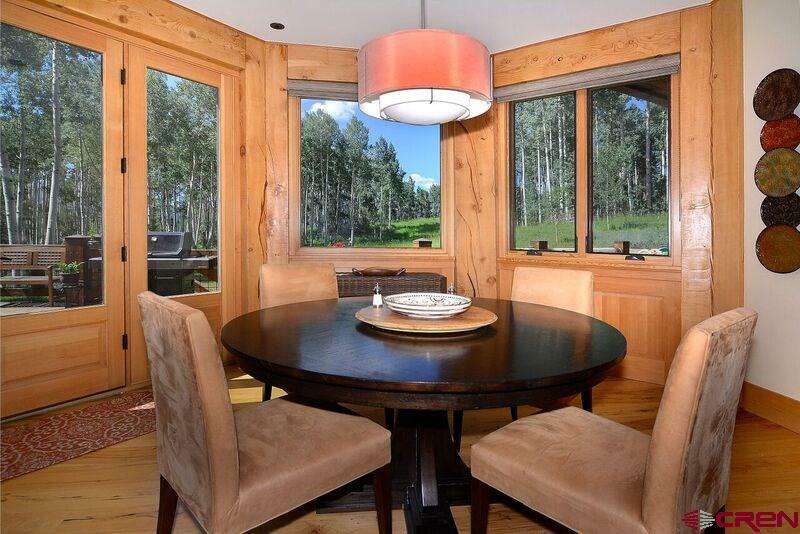 A Magnificent home on 35 acres in the Smith Hill Ranches, situated between the town of Crested Butte and Mt. 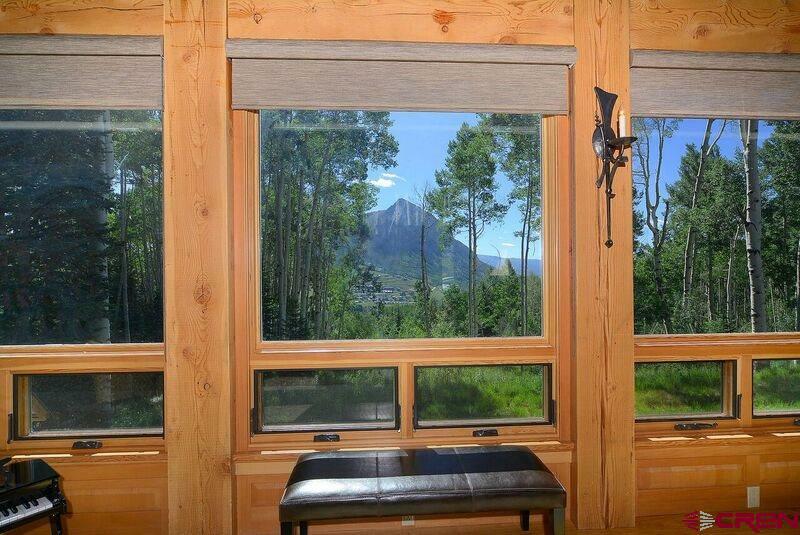 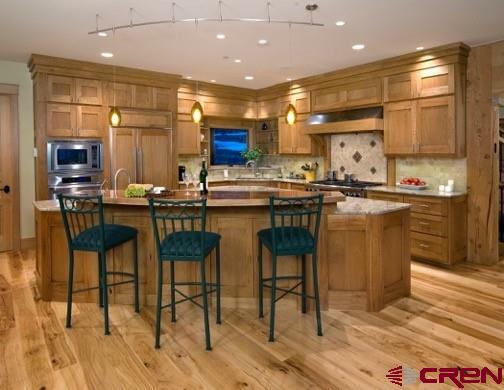 Crested Butte – minutes to town or ski area. 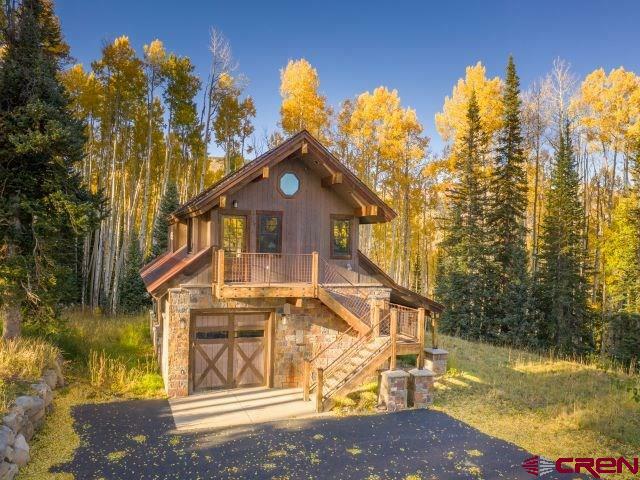 This custom home is one of only 5 homes in the exclusive Smith Hill Ranch subdivision which consists of only eight 35 acre tracts. 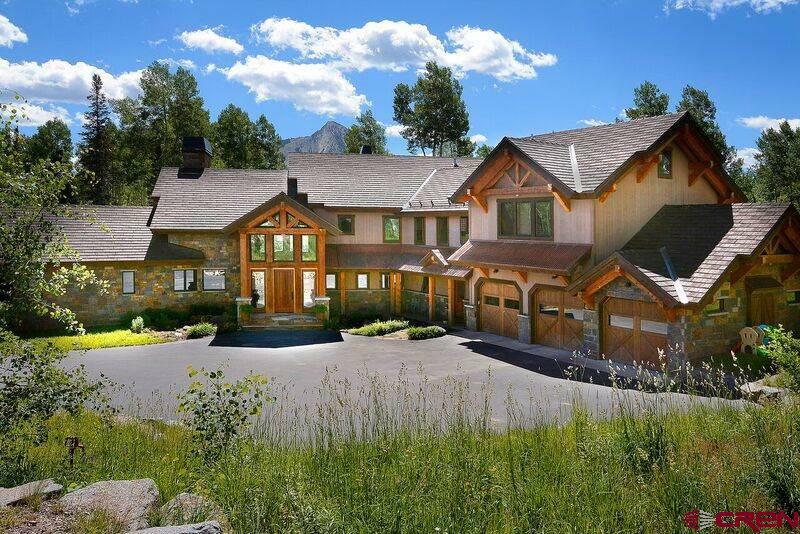 It is a superlative true timber frame house with 8,446 square ft of finished living space plus a 998 square ft attached 3 car garage. 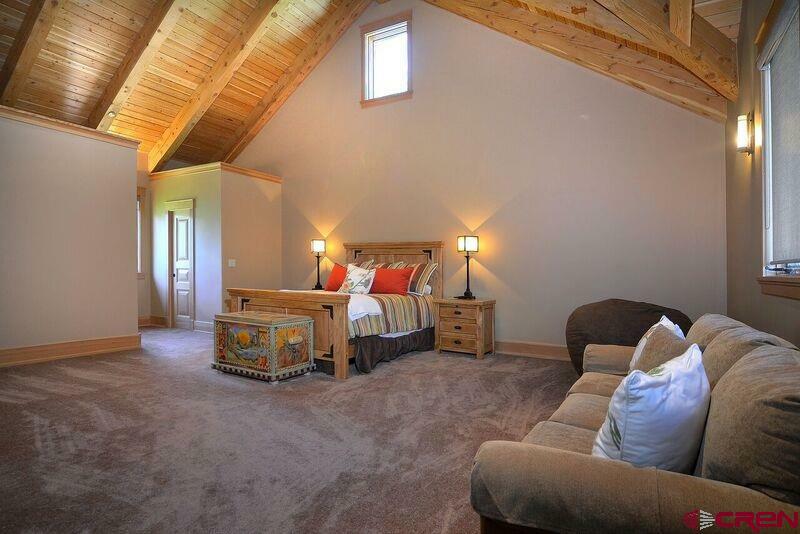 The guest house contains a 1 bedroom+loft, 1 bath, 669 square ft accessory dwelling situated over a 936 sq ft garage/work space. 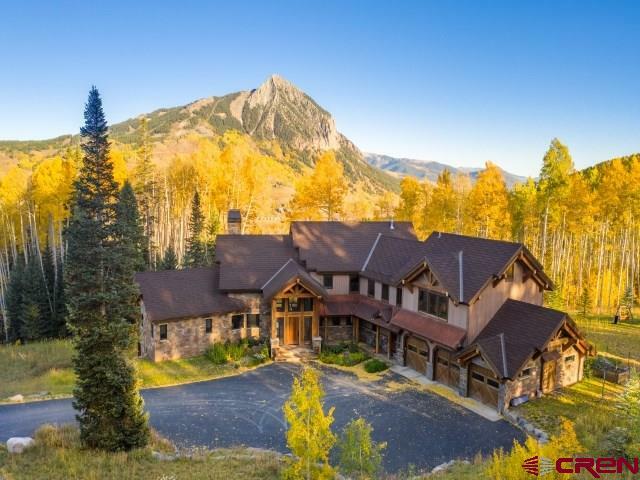 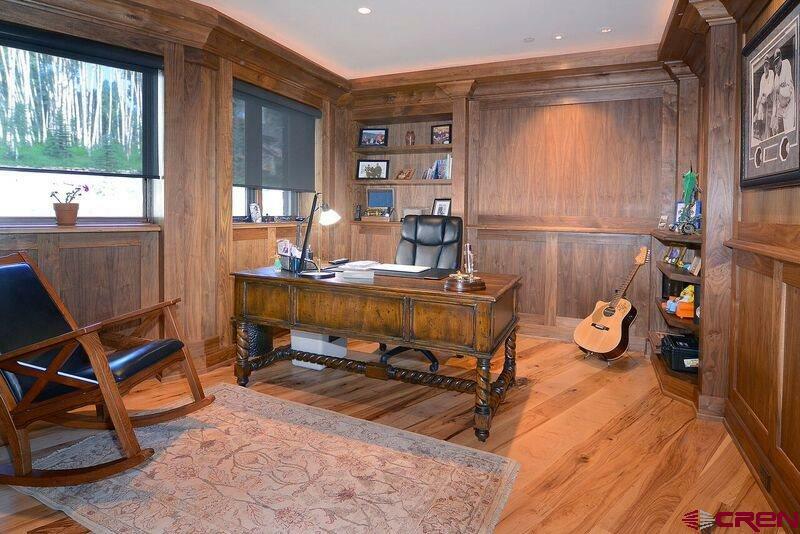 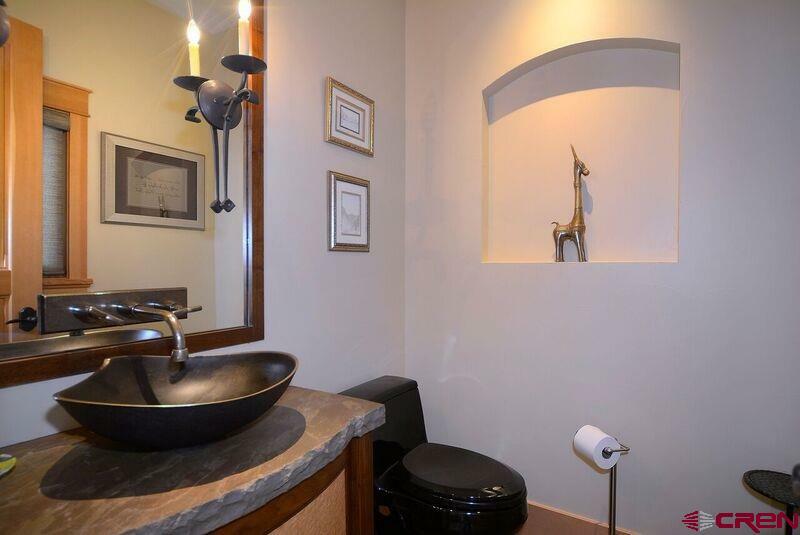 Inside the main house are 5 bedrooms, 5 baths, 2 powder rooms, 3 living areas, office/den, breakfast nook, 2 laundry rooms, loft library, ski storage/mud room, arts and crafts room and plenty of storage. 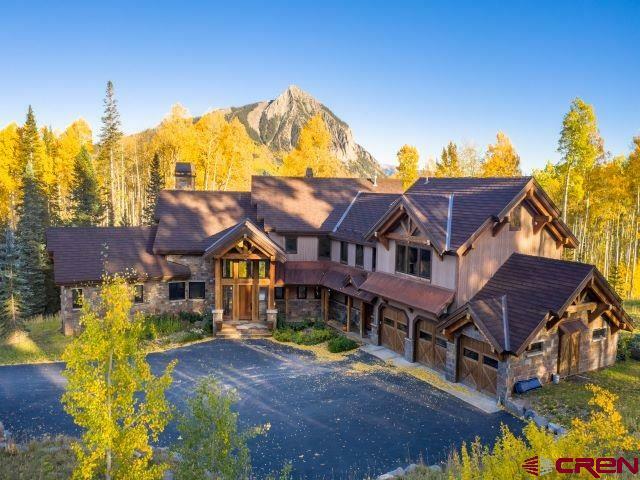 Details include Arkansas Blue stone surround on the wood burning fireplace, 27 foot ceilings, Pecan wood floors throughout, elaborate maple cabinets around the wet bar, Cherry wood cabinets in kitchen and full bar, granite slab countertops, 2,000 sq. 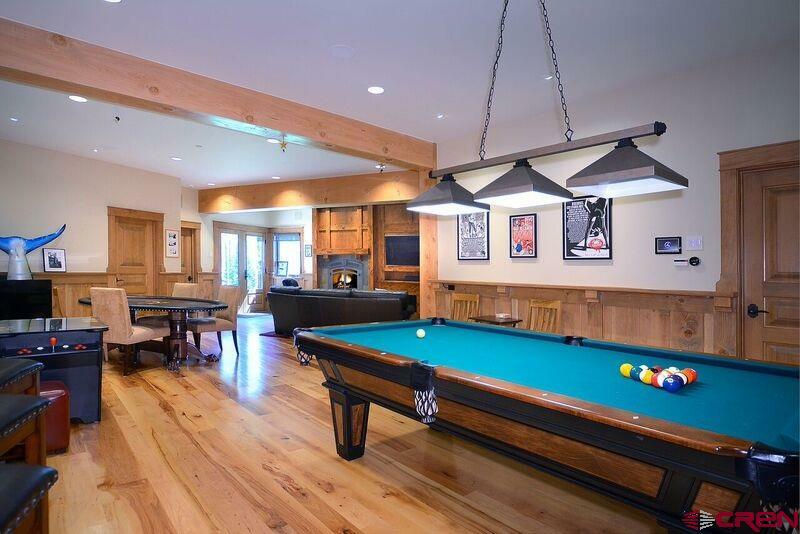 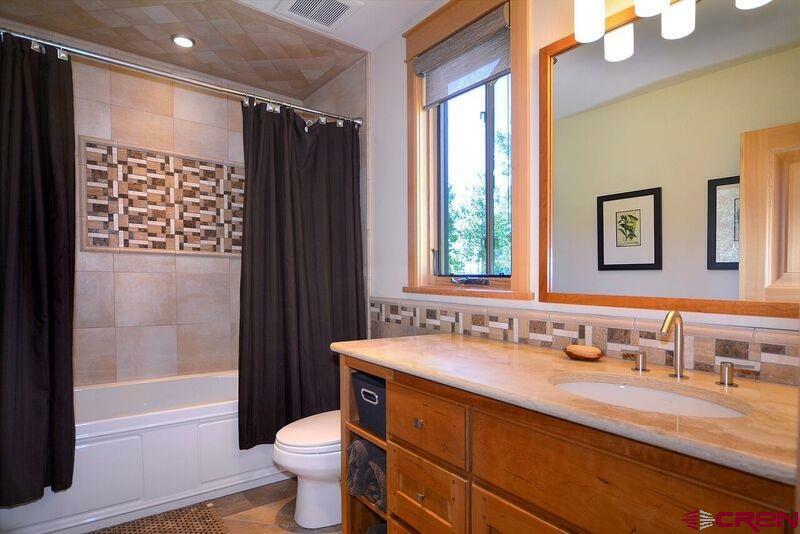 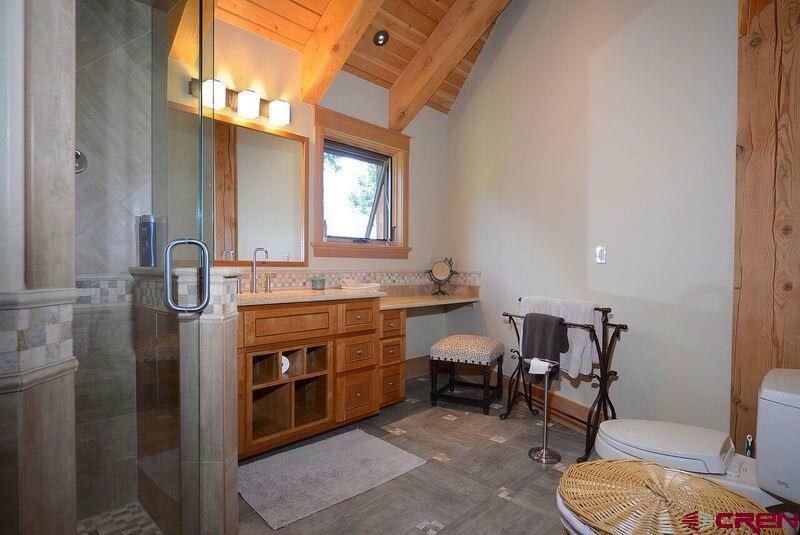 ft. of exterior decks, dog shower in lower level laundry room, all walnut wood office/den, large game/tv/entertainment room with full bar "Saloon", a wine room and a large sauna. 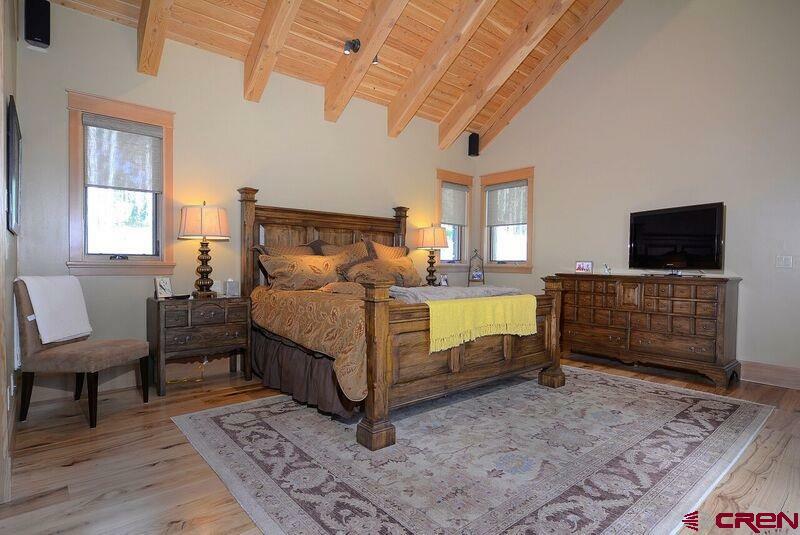 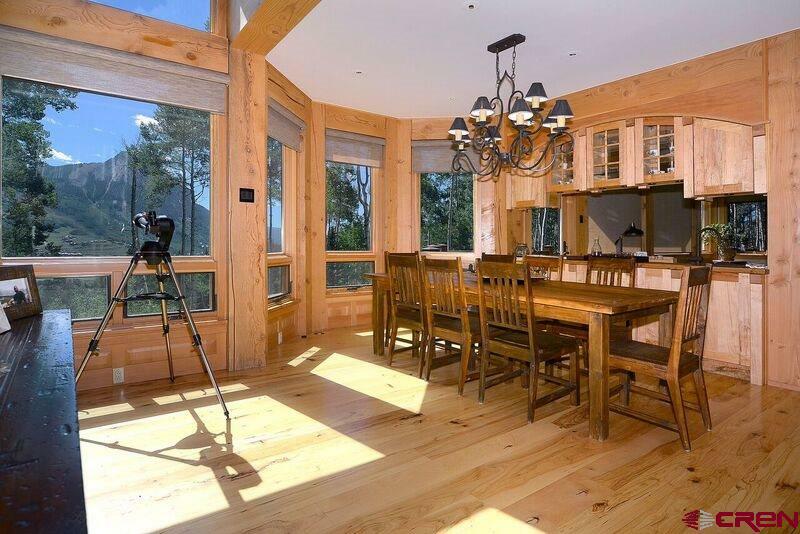 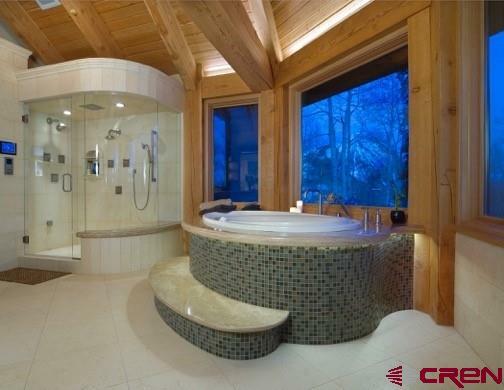 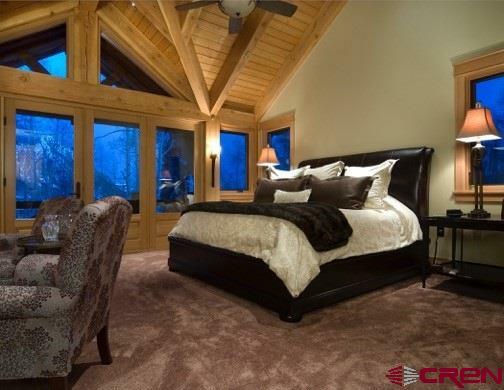 The master suite has a gas log fireplace, stunning views, private deck and a master bath with large soaking tub spa and a large frameless glass double headed shower. 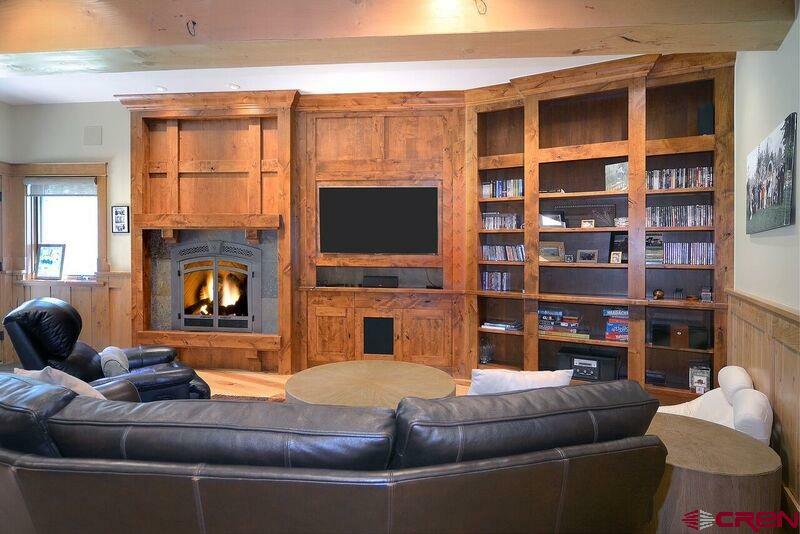 Home is fully electronically suited with security, temp alarms, surround sound with Sonos and Control 4. 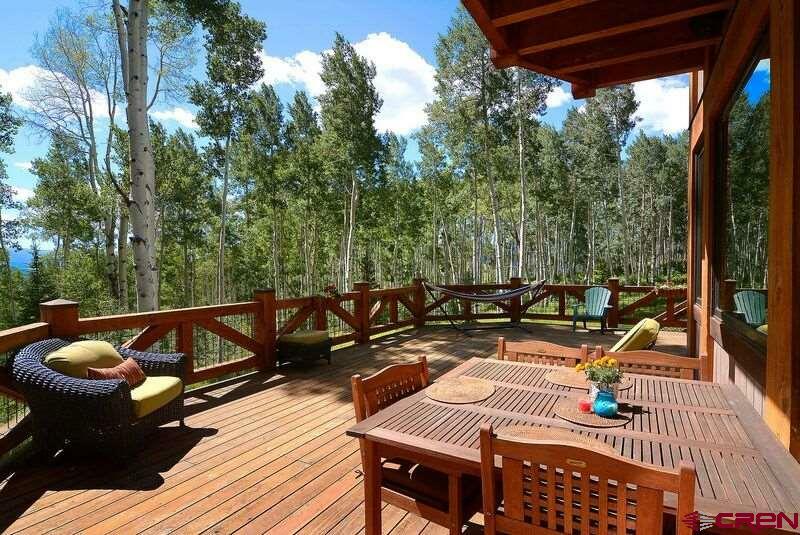 The grounds are landscaped and the views are beautiful through the large aspen and evergreen forest.